Bestselling author Tiffany Pham, founder and CEO of Mogul, created one of the most successful platforms for girls worldwide, reaching millions of people to enact true change in their lives, after receiving thousands of emails asking for advice. In Girl Mogul, she speaks directly to teens and young adults, sharing insights from her own life as well from the lives of the most incredible and inspiring women on Mogul. Tiffany has proven that with the right attitude, the right people, and the right vision, there’s nothing girls can’t do. Did You Purchase the GIRL MOGUL E-Book? If you've purchased the GIRL MOGUL E-Book, you can download the Girl Mogul Exercises here. This content is password protected. To view it, please enter the password you were provided! 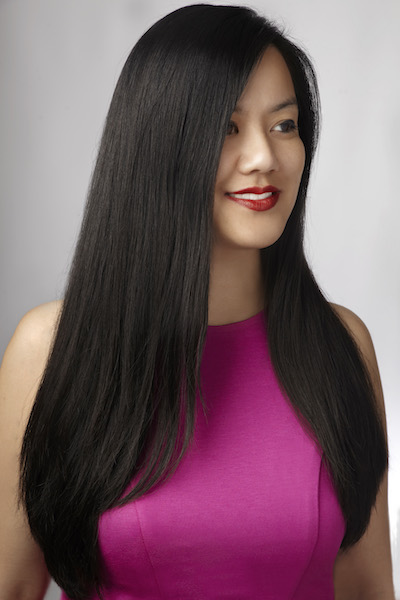 Tiffany Pham is the founder & CEO of Mogul, one of the largest platforms for women worldwide, enabling them to connect, share information, and access knowledge from each other. A coder, she developed the first version of Mogul, reaching millions of women per week across 196 countries and 30,470 cities. As the founder of Mogul—praised by Sheryl Sandberg as the #1 millennial platform—Tiffany Pham created a global technology and media empire by the age of 27. As living proof that the old rules of success no longer apply, Tiffany writes the new rules for following your passions and forging your own path in an age of disruption. Traditionally, the word “mogul” has been attributed to men. But Tiffany Pham has redefined it—now, when you Google the word, the top search result is the company she founded: Mogul. The platform enables millions of women, across 196 countries, to connect, share information, and access knowledge. So how did a young woman—who arrived in the United States without speaking a word of English—turn a dream of connecting women into a fulfilling career and highly profitable company that has changed so many lives? Tiffany chronicles her path to becoming one of the most successful entrepreneurs of her generation, and offers specific, actionable advice that covers everything from overcoming self-doubt, to pursuing side-hustles, to crushing it at life and work by over-delivering, all while remaining your authentic self. You will learn how to negotiate job promotions, secure and balance multiple career roles, hire and manage teams, and become a mogul yourself. The book also features strategies and insights from ten of the most powerful moguls worldwide, including Nina Garcia, Star Jones, and Rebecca Minkoff. You Are A Mogul addresses the new reality that few of us will work for one company for our entire career and that there is no one straightforward formula for a “good life”—personally or professionally. To succeed, we have to be agile, flexible, and strategic. You Are A Mogul is an indispensable road map to the kind of life and career that is demanding and challenging—but also exciting and full of opportunities, if you know where to look. "Becoming an entrepreneur is tough and I encourage all who are on the journey to be self-aware and use resources to help your hustle match your ambition. You Are A Mogul is one of those tools." "Tiffany Pham has written a manual for how to have the life and career you always imagined. Anything is possible, and this is the must-read book that proves you can make your dream a reality." "Tiffany’s focus on inspiring young women and helping them find their voice is impressive. In my opinion, few things in life matter more than lifting others up. It will be exciting to watch the long term impact of Tiffany’s work." "A large part of success is persevering and learning to fail forward, without ever feeling defeated. In You Are A Mogul, Tiffany Pham proves that you can turn your dream into a reality, and that it's possible to reach your greatest potential, so long as you never stop persevering." "Tiffany Pham has done an incredible job of revealing her personal journey, while at the same time, delivering an indispensable guide to life and work with actionable steps you can take to achieve your dreams." "So many women have amazing gifts for entrepreneurship and great business ideas—but don’t have a trusted, inspiring mentor. Tiffany Pham, who built an empire of her own, is that mentor. It's also a must-read for any young woman who needs concrete proof that making it as a woman to the summit of any achievement, is possible." "If you have been looking for a book to help you put your dreams into action, You Are A Mogul is the book to read." “As an Olympic Medalist and entrepreneur, determination is key. In You Are A Mogul, Tiffany lays out just how important that trait is for success in any career. The book is a groundbreaking manual for how to reach your potential, and how with hard work, nothing can hold you back from achieving your goals."